Do you know what NetCat is? We can say NetCat is the heart of the Hacker, Pentesters and Security ninjas. Well, it first surfaced in 1995 and it is one of the most popular and very lightweight Network Security Tools. Netcat lets computers transfer data with each other via TCP & UDP protocols. We’ll learn some basic uses of Netcat like chat or messaging server, file transfer, banner grabbing (for finding the operating system, services, versions, etc. ), port scanning or even more. Let’s learn briefly about each section without wasting time. We can use Netcat for a simple chat interface. 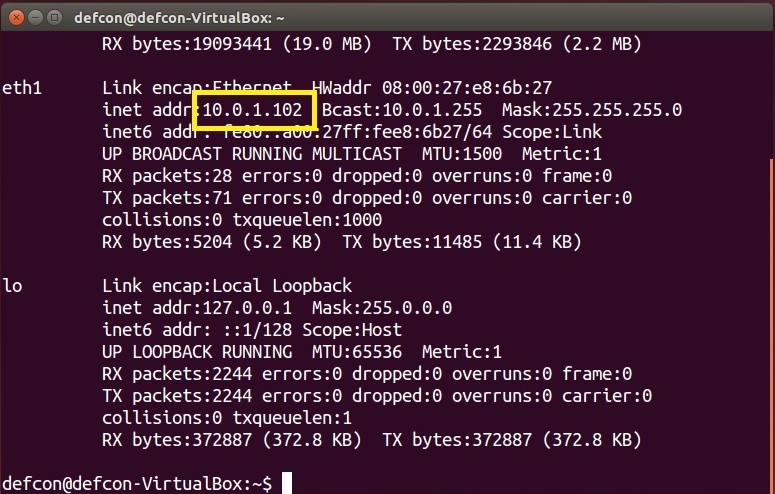 You can use two instances in Netcat running on one computer in any operating system you want. In the two instances, one instance will be a listener and the other will be a client. I will be connecting over TCP port 7777. Here, 7777 is the port number where the Netcat service will run. Now, first of all, we are going to go ahead and start with our listener machine. On listener machine, type nc -l -p 7777 , where 7777 might be anything. -p = Port where Netcat will listen for a new connection. Now, check the IP Address of Listener Machine. 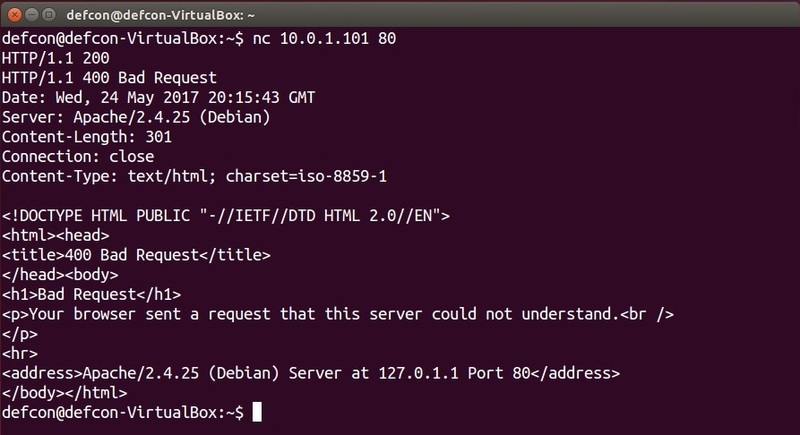 Type ifconfig in Ubuntu machine. Now, in Client Machine type nc 10.0.1.102 7777 and press enter. Where 10.0.1.102 is Listener Machine’s IP Address. This will activate the other end connection as the client. Now, type some Message and check in listener machine. Note that it’s completely unencrypted, but it does let you chat. So, we get a basic knowledge of Netcat and we move to transfer files between two machines using Netcat. Suppose I have two machines. One is Ubuntu and another one is Kali Linux and I want to transfer netcat.txt file over Kali linux machine to my Ubuntu machine. -v = Verbous. Using it gives you feedback during an operation on the screen. -w 30 = It tells that Netcat wait 30 seconds before timing out after transfer is initiated and also terminate connection after 30 seconds after transfer is complete. -l = This PC should be a listener. < netcat.txt = It means that this machine will listening for that file. Here -w 4 means Netcat will wait 4 seconds before canceling the transfer if the connection is lost. Now, look at the listener machine. You can see that netcat.txt file is transferred. When you think about Port Scanning, which programs first come to mind? Nmap or angry IP scanner, right? Netcat is not an advanced program for port scanning like Nmap. Netcat can perform a very basic scan for open ports. Let’s check this out. Banner grabbing is little bit more complex than the others. It is useful for Penetration Testing or on a specific port or you need to find out what version or patches running on a server. HTTP/1.1 200 and Press Enter. For this, we actually need a sudo permission to get the remote shell into Kali Linux machine. This is one of my favorite features of Netcat. A remote shell is like a computer program like cmd or terminal. Yeah great! We have a remote shell of Ubuntu machine on the Kali Linux machine. So you can make files, copy and move files, remove files and so many other things. Note that Netcat can run also Remote Shell from another port through a server outside of a Firewall. So it’s not recommended that both machines be on the same networks. So we can do anything with this Remote Shell. We can also add root user on Ubuntu machine with this remote shell. Have questions or comments about what I said? Feel free to comment and I will reply as soon as possible. You can have lots of fun with Netcat including chat, transferring files, banner grabbing, port scanning and the best one is remote shell. I also want to know how you guys use Netcat. If you know something extra, please comment below and if you like my tutorial share with your friends and family. I am very new to the cybersecurity world, but hasn’t netcat been all but replaced by nmap? Now, the -e option works!